So I'm trying 6 Biossance products for the first time, this month. been hydrogenated so it can be stable enough to use. What skin care brand do you use the most? 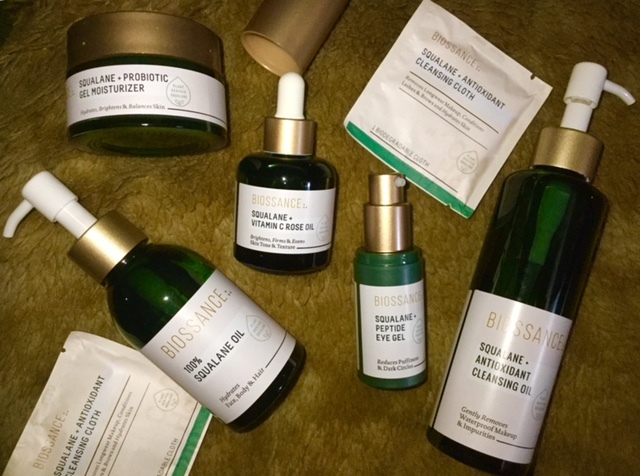 Have you ever tried Biossance skin care? I love a good love story don't you? I do! As you know I'm addicted to all things beauty, but my favorite is skin care because it's the foundation of everything. This is the story of how the love for biotechnology and the earth gave birth to some great skincare. When I was introduced to Biossance I was also told about the history of where they got their start. would also be safe for the environment and animal friendly. That's where Biossance got it's birth. form to do each step. on March 14, 2018 after 12:00 am. EST.